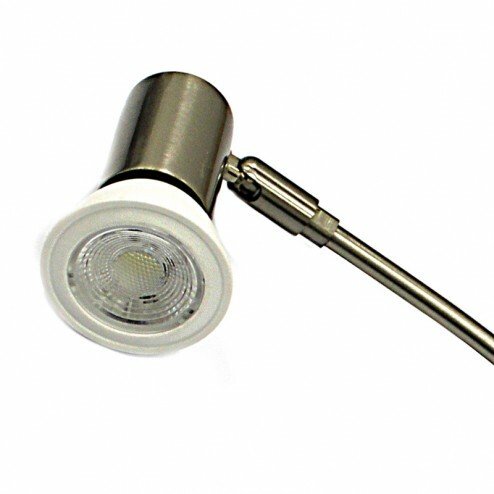 Our popular 50watt Low Voltage spotlight is designed specifically for use with promotional banner stands. your banner stands effortlessly, use these spotlights at trade shows, exhibitions and displays when you need to get noticed. Boasting a premium, contemporary design including quality silver finish, and sleek curved arm with easily adjustable lamp head, it’s a stylish accessory too. This banner stand light easily attaches to a banner pole via a bulldog clip securely. A handy 2.5m cable is also supplied, as is an optional carry case. Perfect for busy roadshow days when you’re on the move and need easy equipment transportation. 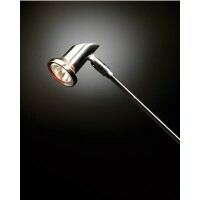 This spotlight is available to purchase in 2 or 4 light kit sets too. 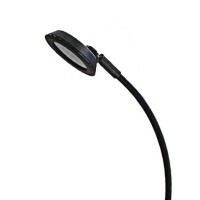 Ideal for use within retail spaces to invests in these spotlights for maximum exposure. Very pleased with the banner stand light. Quality is excellent, price was good, and next day delivery with shipment notifications too! Outstanding and highly recommended.